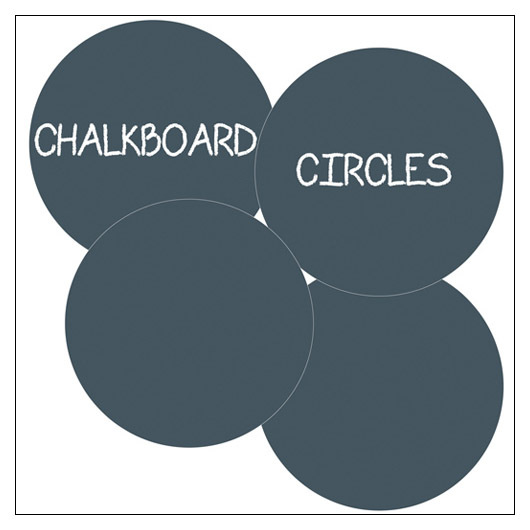 ChalkBoard Circles by Wallcandy (WCCHALKCIRC) at Pure Design Kids / Toys / Chalkboards ::: Kids' Toys, Furniture and More at Pure Design Kids! Chalk these ChalkBoard circle stickers up to great design! Write a note, make a list or just create your own circle wall art. We didn't reinvent the wheel but we did patent this wall graphic in 18.5" circles. These bright bubbles of removable wall art will add personality to any room or wall space. Go ahead, express yourself. 4 to a kit. Black. This item cannot be shipped to Canada, AK or HI.